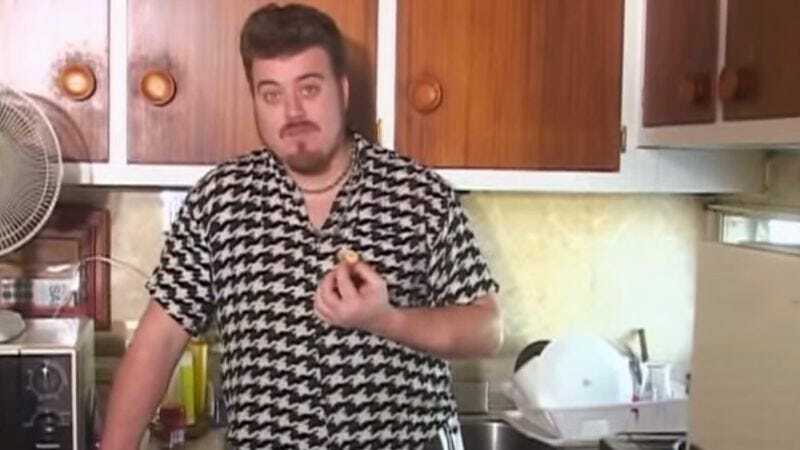 There’s not much that Trailer Park Boys’ Ricky needs to be happy: just some good friends, good dope, and minimal interference from drunk trailer park supervisors (and maybe some chicken fingers). But situations often arise where he must talk his way out of trouble and think quickly. Even though he passed his Grade 10 with flying carpets, he manages to fantastically blunder the most basic idioms and expressions. Whether he’s lying about his mother’s mating name or making fun of Jim Lahey for dressing like Indianapolis Jones, the mistakes pop up in almost every episode. In celebration of the show’s eighth season, here’s a supercut of some of the best Rickyisms so far. And remember, what comes around is all around.